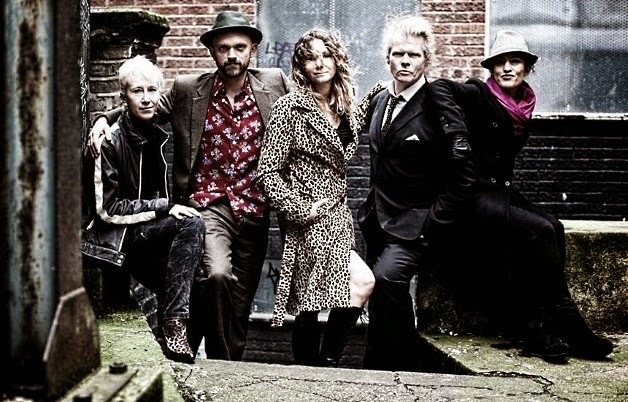 Sigue Sigue Sputnik guitarist Neal X has a new band, The Montecristos, his successful attempt at bringing "some life and excitement and adventure back into my life and the lives of the people I know and love." Neal had just gotten off the road with Marc Almond and was nice enough to talk with us about Born To Rock 'n' Roll, the new band, Sigue Sigue Sputnik, and more! Really great, thank you. It's Election Day here. My kids got a day off school because their school is a polling booth. So I've taken my daughter and three of her ten-year-old friends out to the movies and we went to see the new Avengers movie, which is plotless but it's kind of fun. It's really dumb, but it's fun. You just got off the road with Marc Almond. How did that go? I've been working with Marc over twenty years now, touring with him, and this was the best and most fun tour and I think we did really good business. It was strange. These days, I don't know what it's like in the States, but in the UK people buy tickets at the last minute. I guess they wait and see if something else may be on or we're of a generation where people don't like to commit to things too far ahead because the audience is aging with us. All the shows were really full, better than expected business. Everyone made money. Promoter was very happy. Band was happy. Audience was unbelievably happy. It's good all around. Let's talk about The Montecristos. What brought you all together? I had a real need for it. I've kind of been sitting on the idea for ages. I really wanted to do a rock 'n' roll band and be in a rock 'n' roll band. I felt a bit like time might be out. I'm the last of a dying breed almost. My contemporaries have either lost it, lost the spark, dying, or stopped trying to shock or be inventive or do anything new. And I figured it's about time. The next generation hasn't got anything coming. There's no great rock 'n' roll bands. The Stones are still out there, okay. There don't seem to be any great young ones coming through. There's no New York Dolls. There's no Iggy. There's no Sigue Sigue Sputnik even. There's no Clash. There's no Pistols. Were you friends with the members of the band or did you find them? I found them. It was more like I had a dream and I found people to fit that dream. I met Gemma, the trumpeter, playing with a guy called Roy Wood. I don't know if you're aware of him in the States. He was in a band called The Move in the '60s. He then had a band called Electric Light Orchestra with Jeff Lynne. He left to form a band called Wizzard. If he was American, he'd be celebrated like Phil Spector. He's a really inventive English guy, but he talks a bit funny and looks a bit weird so he's kind of ridiculed a bit here. But he's really great and I found Gemma, the trumpeter, playing with him. She had it all from the back of the hall. She had the charisma. She played great. And I thought, "Yeah, yeah, if I get this together, I'm going to be calling her." So I tracked her down. It's kind of easy these days with the Internet. Sophie, the sax player, came with her. They were a ready-made unit. Emma, the bass player—I really wanted to work with girls. Women rule my world. I'm married, I don't know if you are. Look at the happy marriages, women make all the big decisions. I love and respect women. I wanted a girl bass player, didn't want a thuggy dumb guy. I wanted someone with charisma who could really play and I found Emma after much research on the Internet on a video on YouTube which has got 200,000 views or something now, doing a slap bass solo. And she's only twenty minutes up the road. The dummer, Hugh, he's actually a doctor of Latin percussion. He's a phenomenal percussionist, plays piano brilliantly, really superb multi-instrumentalist. Marc Almond found him actually. Antony, Antony and the Johnsons, ran a Meltdown festival in England at the Royal Festival Hall. Marc found Hugh and said, "I found a percussionist," which alarmed us because normally it's not his thing, but Hugh was just phenomenal. What can people expect from your debut album, Born To Rock 'n' Roll? Hopefully, it's just a slice of energy and it's a statement of intent of where we aim to go. It isn't a be-all end-all of it. I referenced a couple tracks from the past. We do a Gene Vincent song. We do a song by the Young Rascals, which was a big hit in the States but unknown in Britain. One of my friends, an American mum from my kid's school, her mum's uncle wrote "Good Lovin'." I recorded a version of that with Stiv Bators for Stiv's album in 1990 and unfortunately he died during the recording. He got hit by a car in Paris and died. I just felt it was time to show the world what we were trying to do with that. I just wanted to bring some life and excitement and adventure back into my life and the lives of the people I know and love that love the same sort of music. During the recent run with Marc Almond, what were the fans' reactions to the new songs? We cherry-picked just a few shows that we played the opening, basically the shows where we had a day off afterwards. Marc's shows are long and fully energetic, it's full-on hour and forty-five minutes. I've got to pace myself. But we got a really, really favorable reaction. In fact, I was just talking to a friend today who saw it and she said, "It was amazing that they responded the same way as they did to Marc's songs." People really seemed to love it. Dancing, super enthusiastic and attentive. Sometimes being the opening act, people are there to chat and order drinks, but I felt we really got a lot of attention. 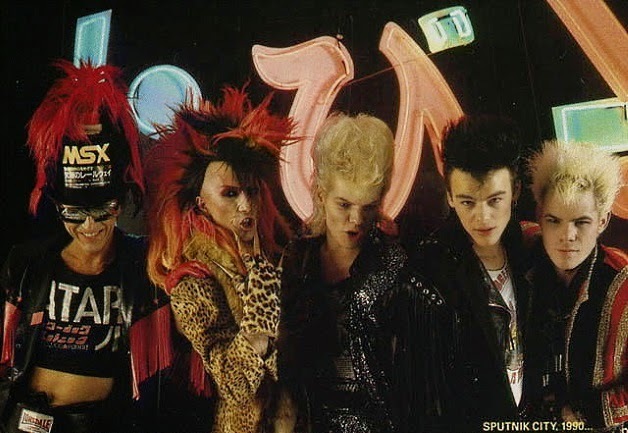 What led you to update a few Sigue Sigue Sputnik classics for the new album? I felt we were much maligned by the media in the UK, I don't know whether it was the same in the States. When we first came out, we were treated as a breath of fresh air and the saviors of rock 'n' roll. It very quickly turned. The press turned on us and just seemed kind of trite and comedic. And I thought, although maybe we weren't really as good as we thought we were, we sure weren't as bad as the media made us out to be. I wanted to reclaim some of those songs and reimagine them for the 21st century and show they were really great songs and we did have something. You guys were unlike anything that came before you. You had such had a unique style and sound, how did you go about creating that? I felt the big thing was to go back to basics. In starting anything, I think it's really good to understand the history of where you're coming from. With Sputnik, it was very much a conscious decision not to be influenced by what was going on around us by our contemporaries. Everyone was sort of eating off the same table there. So we went right back to the '50s, the roots of the '50s and rock 'n' roll, and studied the purity of that. We imagined, "What would it be like if Elvis from the future crash landed on the planet and found this world of super high-tech equipment, but only had a stack of Roots Of The Cramps or Elvis records or Eddie Cochran records? Would it sound like Soft Cell or The Thompson Twins or Depeche Mode or whatever or would it sound much more rock 'n' roll-y?" That was the vision, to make it absolutely kind of contrived to be that very, very simple rock 'n' roll. That's why we had the fifth generation of rock 'n' roll concerts. The '50s and Elvis was the first generation, Beatles second generation, Velvet Underground third generation, punk rock fourth generation, and we were the fifth generation. I feel like you guys, like you alluded to earlier, you never got a fair shake. You were known for the commercials or the hair and people weren't paying enough attention to the music. It depends on how you're perceived. I can't tell how we're perceived. I think musically, we did have great strong points. It is difficult listening to some of those early records now, I have to admit. That's one of the reasons why I wanted to rework them. I do feel the songs are strong enough that David Bowie covered "Love Missile F1-11." I didn't feel that was a footnote in history when Bowie covered us. I felt that was a warm glow of a kindred spirit that really "got" us. I met David's original drummer from the Spiders Of Mars last week on tour. Woody Woodmansey, he came backstage. From his reaction, he wasn't thinking, "Oh, that's just some stupid hair band back in the day." He was very gracious and very kind. I feel maybe it's a media attention thing that people have short attention spans. I feel that we did have a bit more going on than we were given credit for. You're in charge of a music festival and you can get any five acts, dead or alive, to appear on the bill with you. Who do you choose? It's got to be Elvis. T. Rex because I never saw them. The Velvet Underground. David Bowie definitely. And Suicide, who I'm going to see in a month-and-a-half's time in London. They're playing the Barbican in London and it's so great that they're back out there and still playing. I'm so thrilled for them. The last time I saw them was possibly 1987 at CBGB. I was one of seven in the audience. Now it's a sell-out show in front of a thousand people or something in London. How great is that? Hopefully the same will happen for you with The Montecristos. You know, it feels good. It really does feel like there's something going on. There's a buzz and everyone's positive about it and you gotta have that feeling that everything you touch just works for you. I really feel that at the moment. Sometimes you grab out for it, reach out for it, and it's just a little bit out of reach. Now it seems fate's dealing us a lucky hand.